The Royal British Legion received a Corporate Award from Liverpool John Moores University on Tuesday 15 July 2014 for services to the Armed Forces. The citation was presented by Professor the Lord Alton of Liverpool. The Royal British Legion helps the whole Armed Forces community through welfare, companionship and representation as well as being the Nation’s custodian of Remembrance. The Legion recently opened a brand new Advice and Information Centre in the heart of Liverpool’s city centre for Service personnel and veterans to ‘Pop In’ for support and advice. This was the first of 16 brand new centres opened in major cities across the UK, as part of the Legion’s biggest ever transformation to bring its work closer to the Armed Forces community. During the Centenary of Britain entering the First World War, the Legion is involved in a number of commemorative events. “The Royal British Legion was funded after World War One and it is poignant and appropriate that the University is awarding this award 100 years on. Honourable Chancellor, I have pleasure in presenting The Royal British Legion for a Corporate Award for services to the Armed Forces. Next month officially marks the 100th anniversary of the day Britain entered one of the costliest conflicts in history – the First World War – beginning on 4th of August 1914, with fighting continuing until the 11th of November 1918, Armistice Day. A century on from this, recognition and remembrance are important to us all and particularly in our support for those serving in the Armed Forces, veterans and their families. Inevitably historians have again been assessing the causes of the Great War, asking who was to blame for its outbreak, its bloody and protracted course, and its consequences for a century mired in horrific violence and conflict. Many of us had relatives who died or were maimed in those events. What a consolation it has been to know that The Royal British Legion has been there, and is still there, for those who have served their country and paid such a high price. 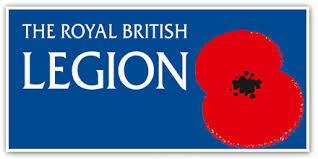 The Royal British Legion was founded in 1921 by British veterans in the aftermath of the First World War. Earl Haig, commander of the Battle of the Somme and Passchendaele was one of the founders of the Legion. In our time, when people talk about ‘The Royal British Legion’, they think of the Poppy Appeal and Remembrance services or even, perhaps, that it is just a social club for old soldiers. 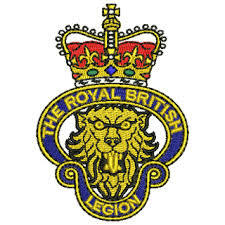 But the Legion is also a campaigning organisation which has called for more research into the Gulf War syndrome and compensation for its victims; upgrading of War Pensions; the extension of endowment mortgage compensation for British military personnel serving overseas; and better support for British military personnel resettling into civilian life. When the Legion’s leaders looked around them in 1921, not only did they see a gigantic task in front of them looking after those who had suffered in the recent war, they also sought to prevent further sacrifice by reminding the nation of the human cost of war and to work actively for peace. The problems facing those veterans from previous wars when they returned to the UK continue to affect serving personnel and veterans today: whether living with bereavement or disability, finding employment, or coping with financial stress. This is why the Legion is still an important source of support for the whole Armed Forces community through welfare, companionship and representation as well as being the Nation’s custodian of Remembrance. They help serving members of the Armed Forces, ex-Service men and women and their families throughout their lives. The Legion funds care homes and break centres, provides employment grants and beneficiary services and has over 320,000 members, 2,445 branches around the UK and a further 88 overseas. The Legion has also made a £50 million commitment over 10 years to help serving men and women who are wounded, injured or sick. The money is being used to develop and run the Battle Back Centre, an adaptive sports facility in Shropshire and to fund the operating costs of four Personnel Recovery Centres in the UK and a Personnel Recovery Unit in Germany. The facilities are part of the MoD’s Defence Recovery Capability initiative, delivered by the Royal British Legion in partnership with Help for Heroes , alongside other Service charities and agencies. Additionally, the Legion also sponsors a website, civvystreet, which assists Service leavers and members of the ex-Service community and their dependents with information, advice and guidance on resettlement, learning and work with specialist services provided by partner organisations. This role is reflected in the new Advice and Information Centre which opened recently in the heart of Liverpool’s city centre for Service personnel and veterans to ‘Pop In’ for support and advice. Based on Williamson Street, it was the first of 16 centres that the Legion opened in major cities across the UK in order to bring its work closer to the Armed Forces community. Each centre offers a welcoming space for Service personnel and veterans to get practical help and advice, and for members of the public to find out more about the wide range of services and community activities provided by the Legion. The Legion is also at the forefront of Centenary commemorations including the Centenary Poppy Campaign – which asks the public and local authorities to purchase Flanders poppy seeds to plant on their own land. The aim of the campaign is to cover the UK with poppies during the centenary period in commemoration of all those who lost their lives in the First World War. The tradition of wearing a poppy to mark Remembrance Day dates back to 1921 when the Royal British Legion launched its first appeal. 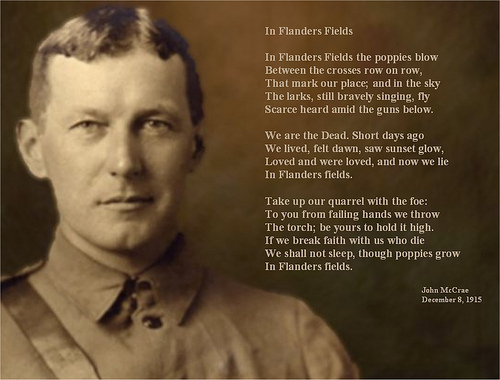 In all the years which have followed the Royal British Legion have carried that torch and have never broken faith…. The Royal British Legion is a big family –, supporting the Armed Forces community, and has undertaken exceptional work for 93 years, consistently showing an outstanding civic conscience throughout this time. 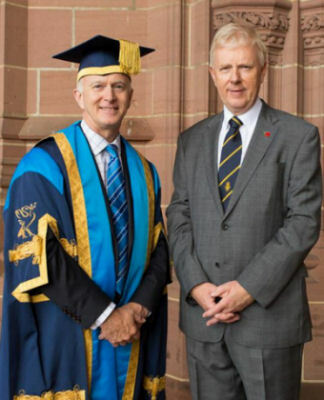 It is thus with great pleasure that we invite Vice Admiral Peter Wilkinson to receive, on behalf of The Royal British Legion, the Corporate Award from Liverpool John Moores University.